How do you approach teaching English in the modern classroom? What is expected of a would-be English teacher? 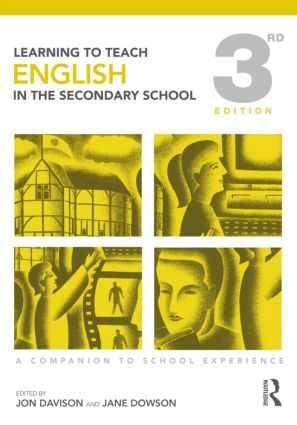 This bestselling textbook combines theory and practice to present a broad introduction to the opportunities and challenges of teaching English in secondary school classrooms. Each chapter explains the background to debates about teaching the subject and provides tasks, practical teaching approaches and further reading to explore issues and ideas in relation to school experience. post-16 English language and literature. Written particularly with the new and student teacher in mind, this book offers principles and practical examples of teaching and learning within a twenty-first century context in which new notions of literacy compete with demands of national assessment. Taking these changing principles as a starting point, the text also addresses questions about the nature of initial teacher preparation and raises issues concerning standards-based teacher education, mentoring in schools and monitoring the development of a student teacher.